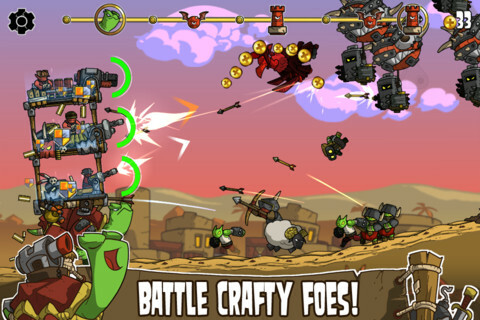 Find out which must have iOS games made the cut. Here we are, the best iOS games of the year. We started with a list of 200, whittled that down to about 100, then the gloves came off, as we fought to include certain titles and said painful goodbyes to others. 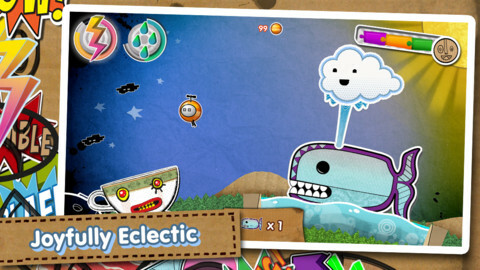 The result is a snapshot of 2012, the 50 iPhone and iPad games that stood out the most. That said, join us each day as we make the countdown. On that note, it's time for games 50-41. We've seen a rather depressing array of freemium empire-building games hit the App Store this year, with most of them putting monetization ahead of good old-fashioned gameplay. 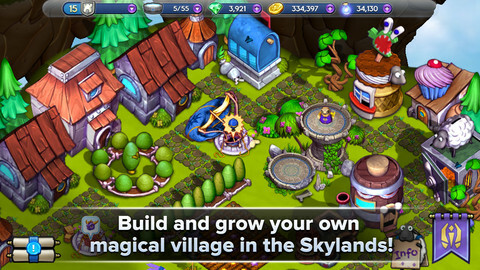 Fortunately, Skylanders Lost Islands represents a giant leap forward from the pack, with an endless amount of island tinkering while your building meters tick away in the background. If you've been put off by the stop-start nature of other games in the genre, Lost Islands will win you over. 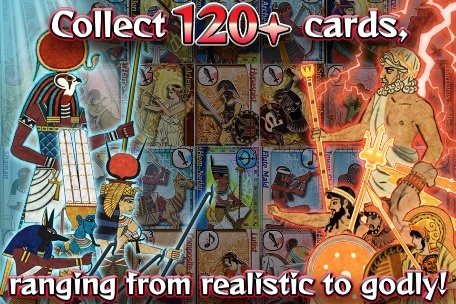 If anything, 2012 was the year of the card battler, and Sega was right there with a sweet strategy game based on a cool what-if scenario that pit ancient Egypt and Greece against each another. Set against virtual parchment paper, Alexandria Bloodshow allows players to assemble their Spartans, archers and spearmen accordingly, slaughtering the opposition and then strengthening their decks. With over 120 cards to collect and multiplayer over Wi-Fi/Bluetooth, this title put on a very good show indeed. 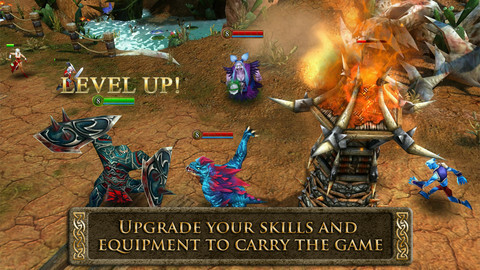 If we were giving out prizes for sheer ambition, then Heroes of Order & Chaos would make for a worthy winner. Representing mobile gaming's first MOBA (Multiplayer Online Battle Arena), this huge game pays tribute to the likes of League of Legends. There's a hero character to suit every taste, a fine matchmaking system and all of the deep strategic gameplay you'd expect from the genre. Bravo Gameloft. Everyone has a favorite game show, from Wheel of Fortune to The Price is Right. 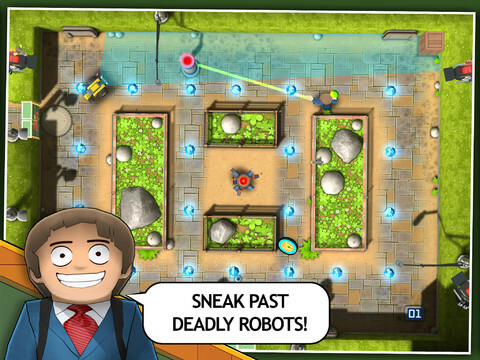 Man in a Maze takes that campy humor and applies it to stealth based puzzles, with the excessively cheery contestant outwitting attack bots while grabbing as many gold coins and tokens as his pockets can carry. It's sort of like a cross between Metal Gear Solid and Pac-Man, mixed with a prize wheel. Intrigued? You should be. Few iOS games look as sweet as Lili. 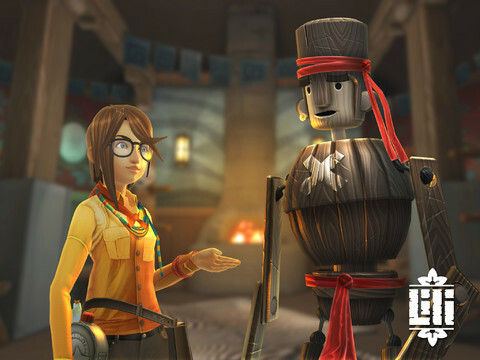 Set on the enchanting island of Geos, the game gives players control of a young, adventurous woman who meets up with a race of eccentric wooden creatures. What ensues is pure handheld whackiness, with gamers chasing after enemies and plucking flowers from their heads, in between chatting with a postmaster that spits letters. Strange? You bet, and worth every penny. What do you get if you cross a giant love-struck turtle with an outlandish selection of machine-guns, rockets and flamethrowers? The answer is Shellrazer, a fantastic game that tells the tale of a weapons-clad turtle, crossing a continent in search of love. You'll need to carefully plan your weapon load out for each of the game's many levels, and use precision aiming to take down the vicious clans. The game was given a generous expansion recently, and represents outstanding value for the money. 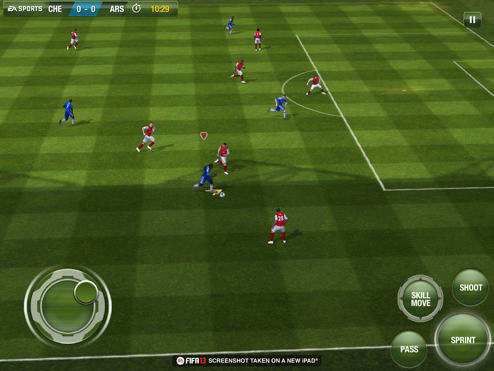 At this rate, FIFA Soccer for iPhone and iPad will eventually rival the PlayStation Vita editions. For proof, feast your eyes upon the most recent iOS release. Sure, the graphics, animations and virtual controls are spot on. We expect that from the franchise, but EA managed to shove even more content into FIFA 13 with thousands of real world players, online multiplayer and most recently, FIFA Ultimate Team, where gamers obsess over their squad's play style and formations. If you don't have a 3DS or Vita, this is a suitable alternative. 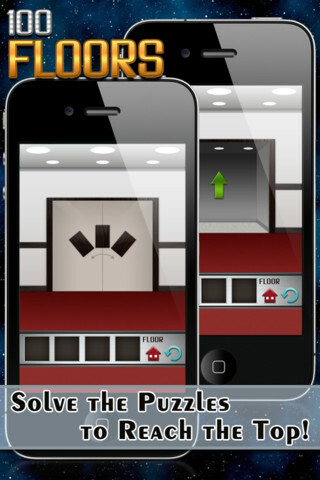 100 Floors tapped into one of 2012's most successful genres, the room-escape puzzle game. The concept is simple as you move from floor to floor via a stubbornly stuck elevator door that's only opened by solving each lobby's teasing puzzle. 100 Floors' wonderful use of your mobile touchscreen and accelerometer weaves an endlessly creative selection of levels into this very clever package. 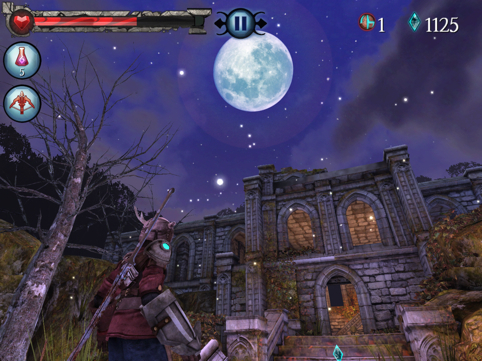 Zelda fans don't have many options in the action RPG genre on smartphones and tablets, but at least Dark Meadow developer Phosphor Games somewhat filled the void with Horn, an adventure clearly inspired by Nintendo's longstanding franchise. Armed with captivating visuals and whimsical music, this title plunges gamers into a fantasy world filled with dangerous monsters, puzzles and secrets. At least the hero doesn't save the world solo. His wisecracking sidekick, a literal talking head, accompanies him on this journey. If you're looking for a game to keep the whole family entertained, you can't go wrong with Kumo Lumo. We were impressed with its gorgeous paper craft world that gently rotates as you help the Kumo cloud rain water upon the land, bring forests back to life and strike down those nasty invaders who want to destroy the otherwise green and pleasant world. Kumo Lumo wins big in the originality stakes this year.